Get out your favourite spade, be prepared to get some dirt on you and start digging. Pay particular attention to your vegetable garden. 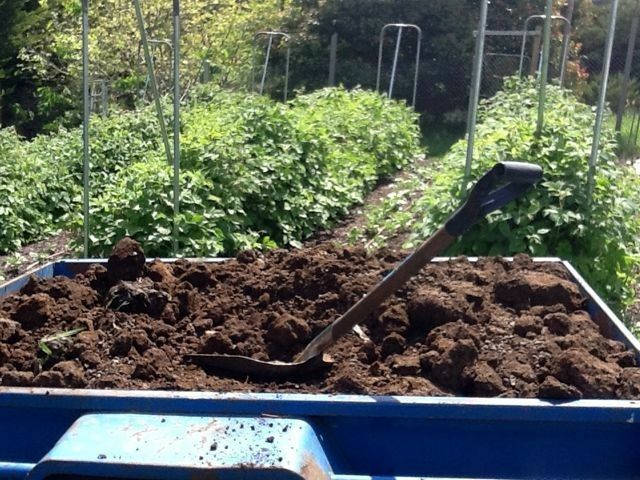 Remove all old vegetables and weeds, and dig loads of compost into your spring vegetable garden beds. 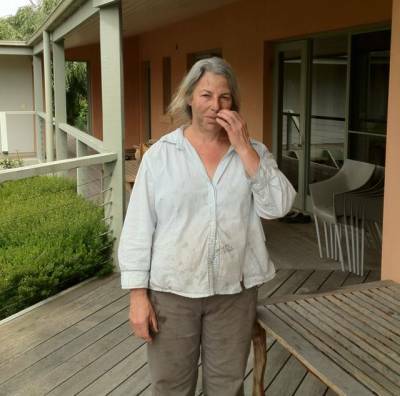 I use sheep poo mixed with healthy batches of home-made compost. Here’s a guide to how much compost you need: For sandy soil use 15 -25 kg per square metre/per year; heavy clay 2-3kg per square metre/per year; reasonably good garden soil 2kg per square metre/per year. Apply organic fertiliser to berries and fruit trees. Prune the last of the old canes from the raspberries. Spray the peach trees for curly leaf. 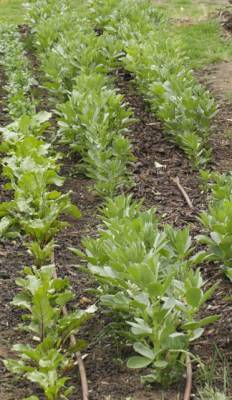 You will need to consider where to plant your vegetables; mapping it out on paper beforehand is helpful. Don’t forget to rotate the position of your tomatoes so they only get planted in the same place every three years. Make some wooden pegs from some of your old tomato stakes, use these along with some string to mark out the rows for vegetable seed planting. Think about companion planting. For example borage (a herb with a brilliant blue flower attractive to bees and used as a garnish), marigolds, basil and parsley all complement tomatoes. Prepare your seed potato’s by placing them on a tray or a plate. Put them in a light-filled position away from the frost. I use my laundry bench. Don’t stack the trays on top of each other and leave a little space between each potato. They will green up and begin to shoot little sprouts, ready for planting. You will know they are ready to pant when the shoots are one centimetre long. Your lawn mower has probably hibernated in the shed for most of the winter, so a little tender loving care will get it going again. If you don’t have a lawn mower, dig up the lawn and prepare to plant it with vegetables! 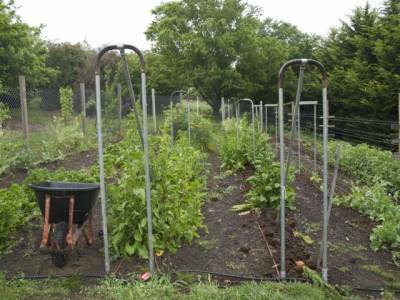 Oh, and don’t forget to build some tent supports for your runner beans and climbing peas.